Sawadee Thai Cuisine may be celebrating its 15th anniversary this year, but the restaurant in Tan Quee Lan Street has kept a rather low profile until recently. That is partly because it used to be a neighbourhood eatery in Sembawang. And even after it was taken over by its current owners and moved to the Bugis area more than two years ago, the buzz level stayed low. I dined there last week, drawn by a revamped menu that included new dishes to celebrate its 15th year, and the cooking was so good that I wish I had discovered the place earlier. The menu lists what look like typical Thai dishes, but they boast flavours that are more well-balanced than what I find at many eateries here. New dishes such as Grilled Kurobuta Pork Collar ($22, above) boast premium ingredients that you do not find in many Thai restaurants. The pork is succulent and the spicy sauce goes very well with the meat. Another new dish that I like is the Superior Seafood Fried Rice ($18), which comes with crab meat, prawns and conpoy. I usually like to add freshly cut chilli padi to Thai fried rice, but the version here is so tasty that to do so would be a travesty. I also enjoy the Thai Coconut Chicken Soup ($13), which has just enough coconut milk for aroma but not to overpower the delicious stock or feel too rich. The Mao Shan Wang Durian Sticky Rice ($12) is an attempt to refine the Thai dessert with premium durian. But I am not sure it is an improvement. I like the original version where Thai durian pulp is cooked in coconut cream and adds warmth to sweetened rice. Here, shreds of fresh durian pulp are placed over the rice and topped with a sprinkling of black sesame seeds. It is not bad, especially if you like the more fragrant Mao Shan Wang, but I miss the creamy richness of the Thai version. 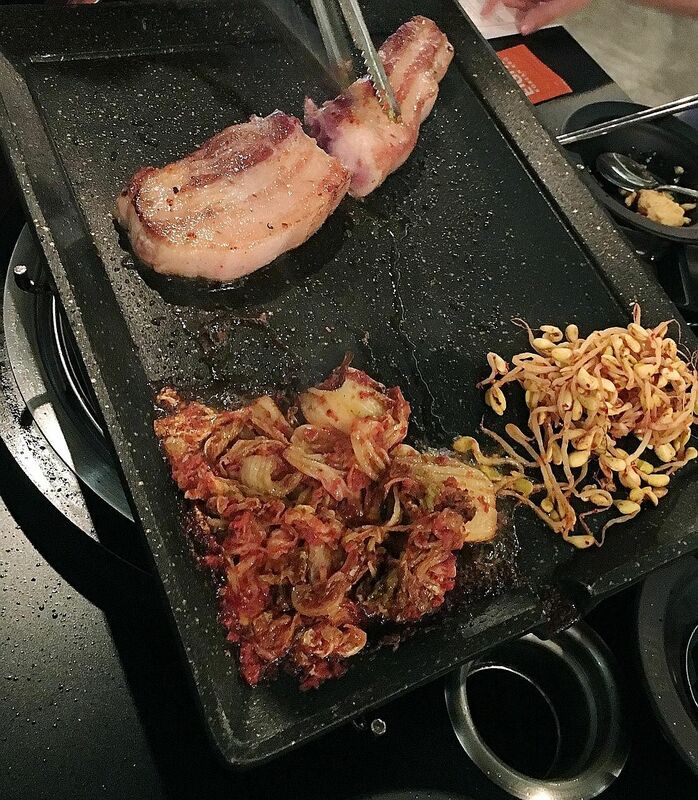 E!ght Korean BBQ recently opened a second outlet at Shaw Centre and took the opportunity to expand its menu, including at the original Central Mall outlet. What is new is the Big Hog Plate ($45, above), which comprises a hefty 350g slab of Mangalitsa pork belly that is thrown on the grill with onions, king oyster mushrooms and mugwort rice cake. The cooked meat is cut into thick cubes instead of the usual thin slices, then wrapped in fresh lettuce leaves with kimchi and spicy soya sprouts that have also been sizzling on the grill. Those who prefer their meat sliced can go for the restaurant's signature 8 Colours Set ($98) or 4 Colours Set ($58), which features slices of pork belly marinated in eight or four flavours. These include wine, garlic, herb and kalbi (a spicy traditional Korean marinade). If you are in a big group, try the Bibimbap Bingsu ($28) for dessert. It's a huge bowl of ice with eight colourful toppings - cereal, crushed Oreo cookies, peach, kiwifruit, red bean, strawberry, grape and marshmallow - that are arranged to look like a bibimbap. Perfect for Instagram. I was not impressed with Saint Pierre's launch menu when it moved to One Fullerton in April. But the fine-dining French restaurant has a new executive chef, Mathieu Escoffier, who has turned the cooking around. 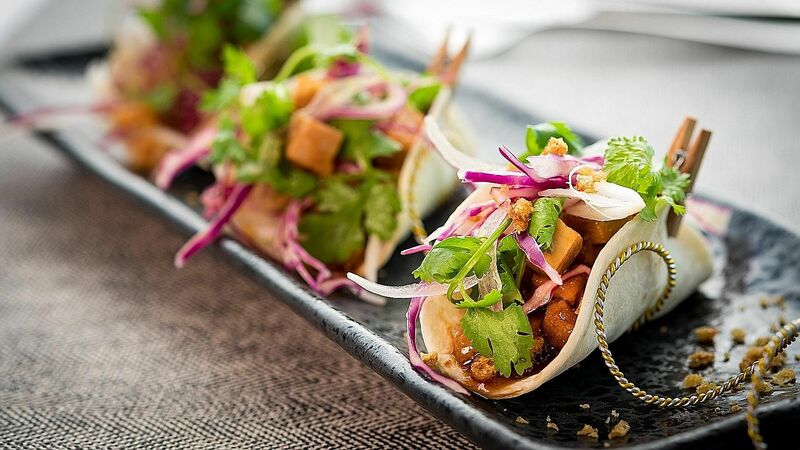 The Frenchman, who has worked at various Michelin- starred restaurants in his home country, has come up with a menu that not only showcases a strong foundation in the cuisine, but also reveals a surprising creativity in using Asian ingredients. 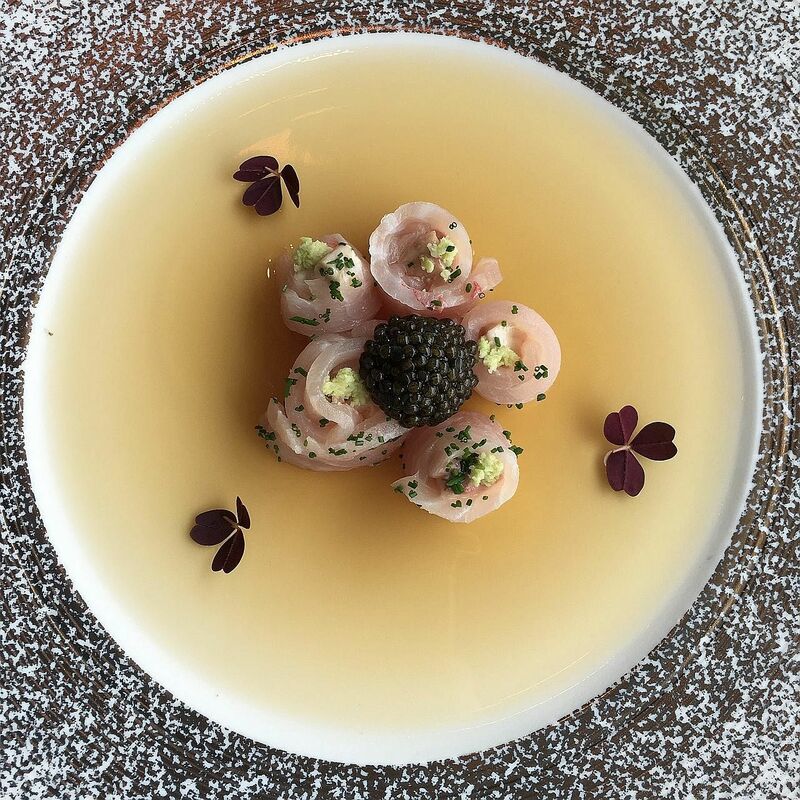 Examples include a starter that comprises rosettes of kinmedai sashimi on a layer of kombu-ponzu gel, with yuzu zest, wasabi, lemon oil and oscietra caviar (above). The dish looks as lovely as it tastes. The Iberico pork belly with buah keluak, foie gras, nashi pear, shallot and wild ginger is also surprisingly appealing - though I would not trade my ayam buah keluak for it. There is no a la carte menu, so dishes may change. But what I ate certainly gives me the confidence to recommend the restaurant now. Wangz Hotel in Tiong Bahru has opened a new restaurant, Upper Place, which takes over the top-floor premises after former tenant The Rabbit Stash moved to Klapsons hotel. The menu is very interesting, featuring Western small plates that are often inspired by local dishes. But the flavours may surprise you. The lobster kueh pie tee ($10) looks like the Nonya version with the same pastry cup, but tastes totally different, with a sour-spicy filling of mango, coriander, lobster and chilli crab sauce. The Slow Cooked Pork Belly Tacos ($10, above) are good too, with a filling of pulled pork and shreds of purple cabbage for crunch. Squeeze lime juice over them before eating, to freshen up the flavours and add acidity to balance the fatty pork. Book a meal at Sawadee Thai Cuisine, Saint Pierre or Upper Place with Chope.